Social media is everywhere; your friends, relatives, and favorite celebrities are using social media so itâ€™s no wonder many small businesses have chosen to do the same. Social media is cheap and highly accessible to even the most inexperienced of users, opening the floodgates for small businesses looking to stake their claim in an ever-expanding social media landscape. Many small business owners and website designers operated under the assumption that social media would have a measureable impact upon their website SEO (search engine optimization), an assumption that Googleâ€™s Matt Cutts has proven false. 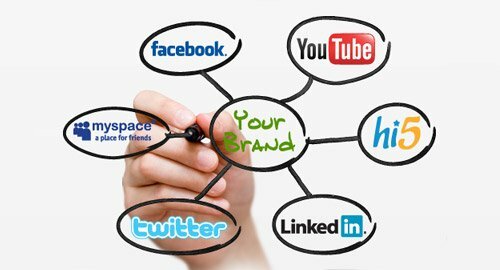 While social media is, without a doubt, a great method of marketing, it is not as meaningful toward building a web brand as many users currently believe it to be- however the situation is not entirely gloomy and there are plenty of cases for the importance of small business social media. Social media pages that are well frequented will populate the search results of major search engines no different than any other page on the web. This means that it is just as important to have a well-curated social media page as it is to maintain your companyâ€™s homepage; providing meaningful content that not only mentions your business name often but details services performed or projects currently being worked on. With this meaningful content, page views will climb along with search engine ranking. A social media page that goes unviewed will have no contribution to your website or its SEO. This may clash with the notion, pushed by many web design firms, that social media is unique in the eyes of search engines and carries special â€œweightâ€ when search engines are ranking websites but furthers the adage of â€œno free lunchâ€ (no results without diligent efforts) when it comes to SEO. Although these facts may come as startling news, it is still very important to note that due to Googleâ€™s own Google Plus+ will often come up as the first point of contact when a user searches for a business by name. As a result, having a neat and well maintained Google Plus+ may pay off as it could be the first introduction a customer has to your small business on the web. Although the verdict is in on social media as a means of increasing SEO rank, social media networks do still have a very valuable takeaway for small business- advertising. Advertising on social media can start as simplistically as having a page for your business. While simply having a page will not proactively work to gain new clients, existing clients or potential customers may stumble onto your page via their web surfing getting your message across without any investment more than time. Much like having a billboard on the side of the highway, having the potential more eyes on your business is never a bad thing. An arena in which social media excels heavily is PPC (pay-per-click) advertising, not unlike the kind used by Google AdWords or Bing Ads. Through the information provided to social networks by its users (location, age, interests, etc.) social media becomes an awesome platform if a small business is looking to pay for advertising. Using these â€œnarrowed downâ€ demographics allows a company to market its products to customers explicitly within its demographic, without spending ad money foolishly to users who would not have a use for the companyâ€™s service or product (i.e. by marketing directly to aging males, a hair-loss supplement company does not squander ad budgets with young women). Social media is also a very new frontier in the realm of online marketing, and social media companies have realized this pricing their ads quite competitively in comparison to their larger, more established, search-engine rivals allowing for more instances in which a small businessâ€™s ad will be shown. These benefits are bolstered by the fact that most social networks rely on a proprietary app, blocking the potential for â€œad-blockingâ€ software to be used. As many internet marketers have come to realize â€œad-blockersâ€ can drastically hamper the results of an ad campaign; as many as 121 million users have taken to using some form of â€œad-blockerâ€ via their normal internet browser, which can stop an ad before it is even seen by the surfer. As time progresses, social media advertising continues to gain traction, which will undoubtedly raise costs; the golden age for social media PPC advertising Â may be upon us! While the â€œtop-brassâ€ at Google has made their statement about the impact of social media on SEO clear, it does not close the door on future possibilities. Google has, and will continue, to add features to their search algorithm (formula that ranks websites) as time progresses. Social media companies may rise and fall, but the concept of social media as a whole has proven to be a sound one and it is not farfetched to assume Google may try to add social media consideration to their algorithm in the future. Bing, on the other hand, has taken a much more ambiguous approach, stating “We do look at the social authority of a user. We look at how many people you follow, how many follow you, and this can add a little weight to a listing in regular search results.” While it is never good to speculate, this open-ended response leads us to believe they may be â€œtesting watersâ€ with social media page ranking in their search algorithm. Bing also handles the indexing (examining of the web) process for Yahoo, so if these ambiguities materialize into actual SEO consideration, users of properly-maintained social media pages will be rewarded with SEO share on two of the â€œbig threeâ€ search engines. As always Turbo Technicians recommends building your SEO rank on a foundation of well-written, information-rich, and meaningful content; social media pages are worth the cost of entry (free) but they are not a â€œquick-fixâ€ to the digital marketing dilemma. If you or your business have any questions on SEO via social media, or web design questions of any sort please contacts us!